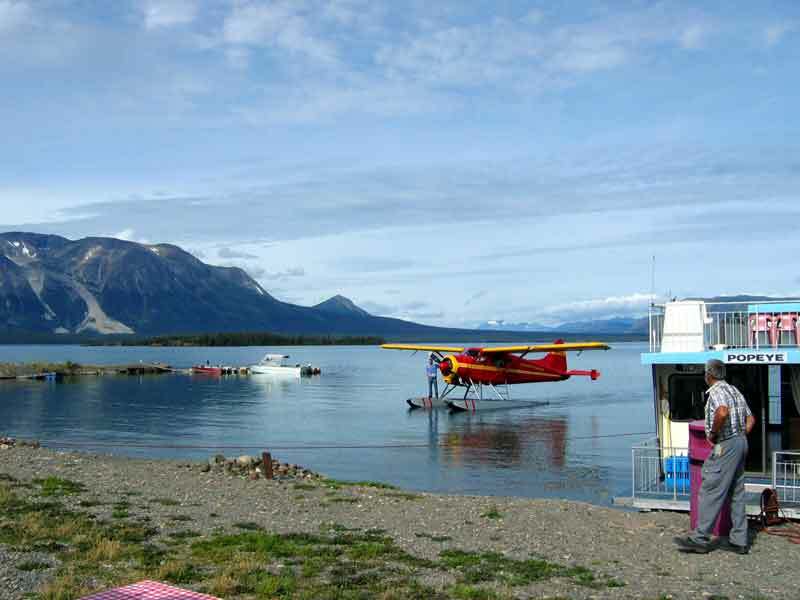 Atlin is a small town on the lake of the same name in northern BC. It got its start from a gold discovery, as most of the towns in this part of the world did. That was in 1898 and a year later 10,000 had arrived to seek their fortunes. Not all were after gold and so an orderly community was established. After the gold bloom the community was discovered as a tourist and sportsmans destination and so it continued to prosper until the world wars brought things to a halt. 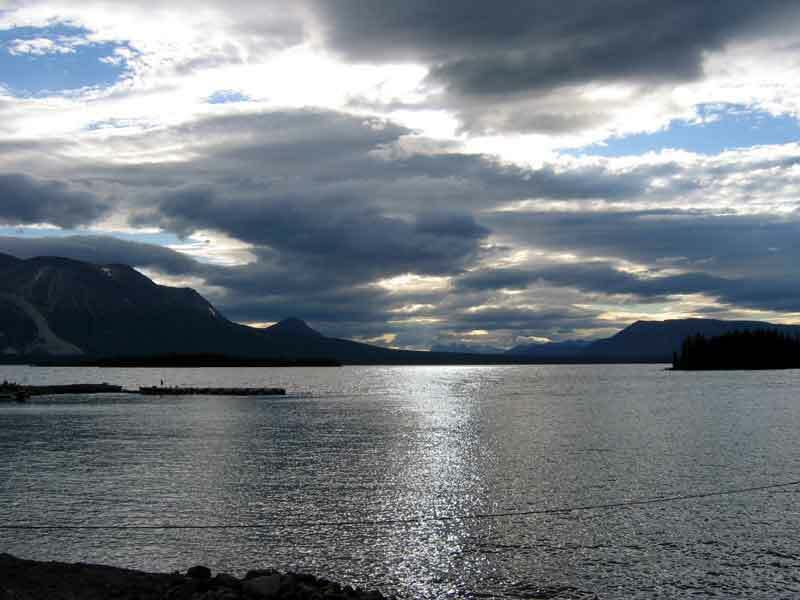 The Atlin Road was finished in 1949 which sustains the community as a tourist and sportsmans destination once again. Today it has a population of around 500. 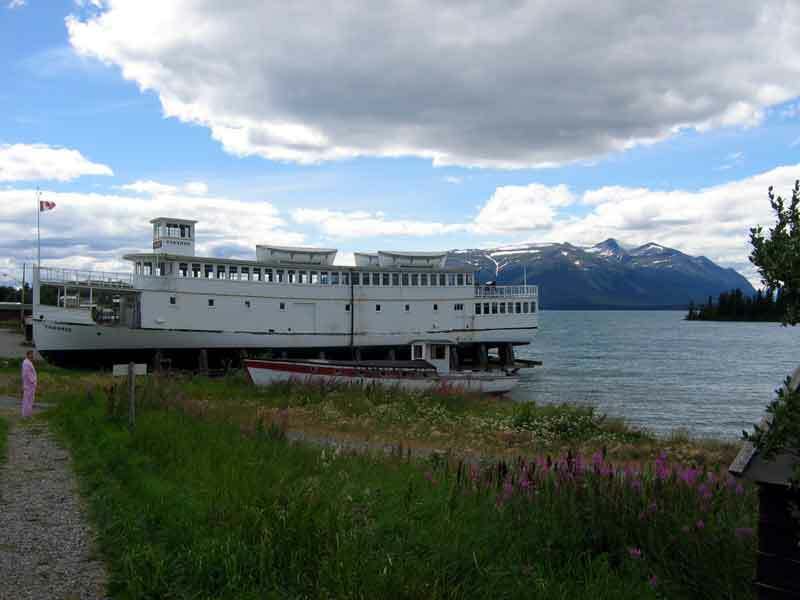 An interesting note is that the Atlin road was built by the Army Corp of Engineers and those who travel it will note their influence on some of the names. Such as Snafu Lake (Situation Normal - All F...ed Up). There is another lake named Tarfu which we think stands for "Totally and Really F...ed Up". 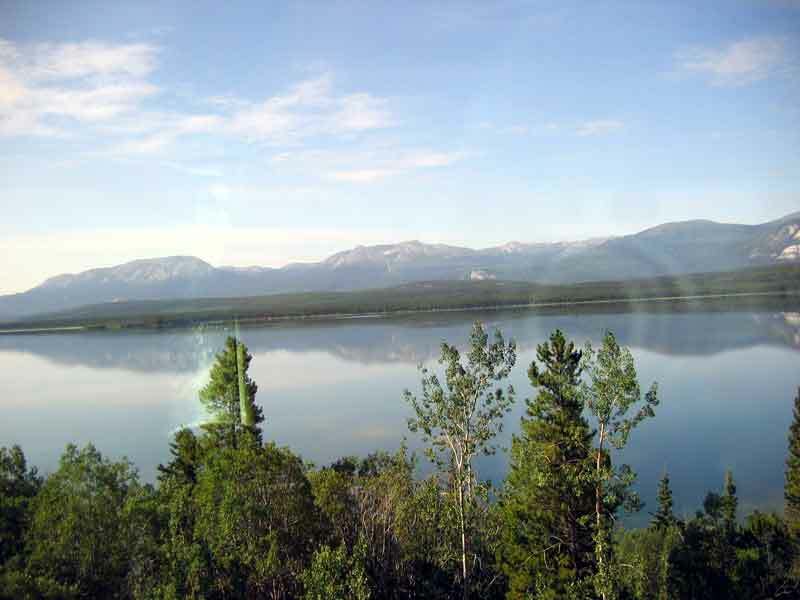 From either Whitehorse or Watson Lake, take the ALCAN to Jake's Corner and turn south on Hwy 8 which turns into Hwy 7 at the Atlin turnoff. 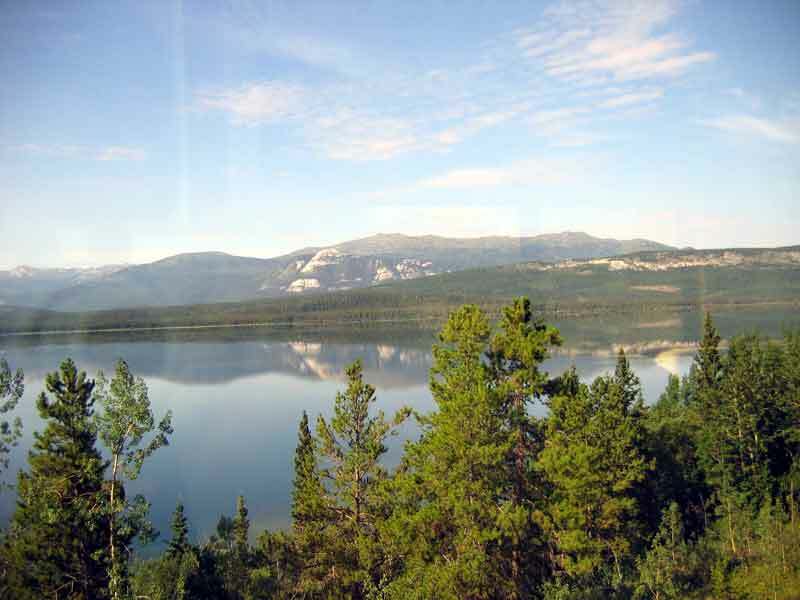 From there the road is dirt for the first 70 km and then is paved for the last 30 km to Atlin. It is a 3+ hour drive with great scenery once you get on Hwy 7. 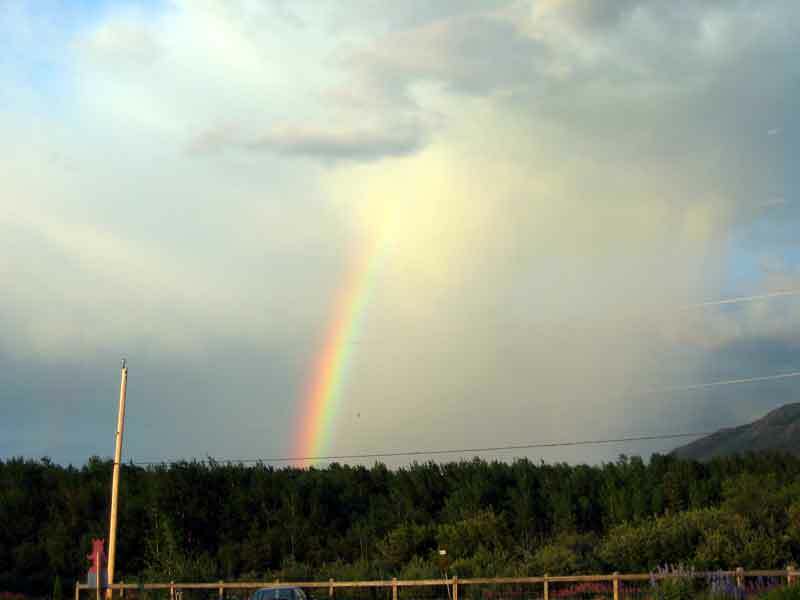 These are some pictures we took as we came down the Atlin Road. 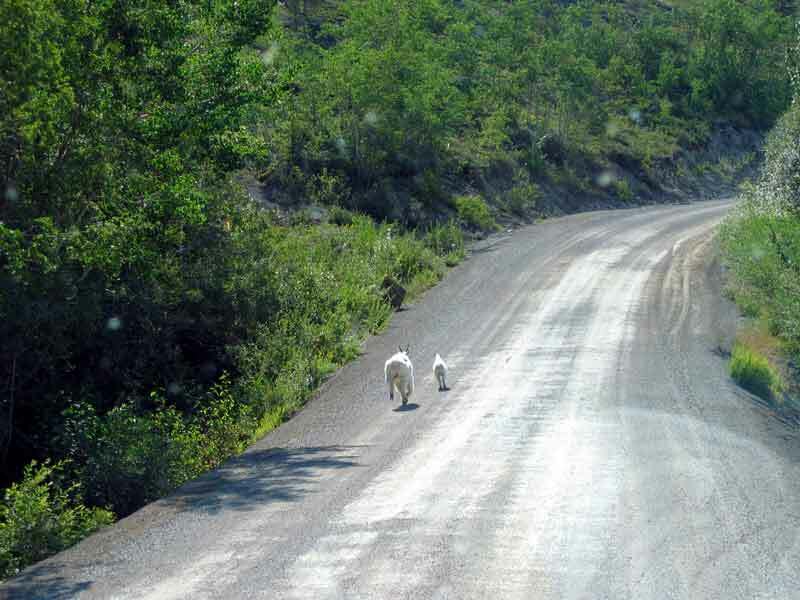 We even found some mountain goats along and on the road. 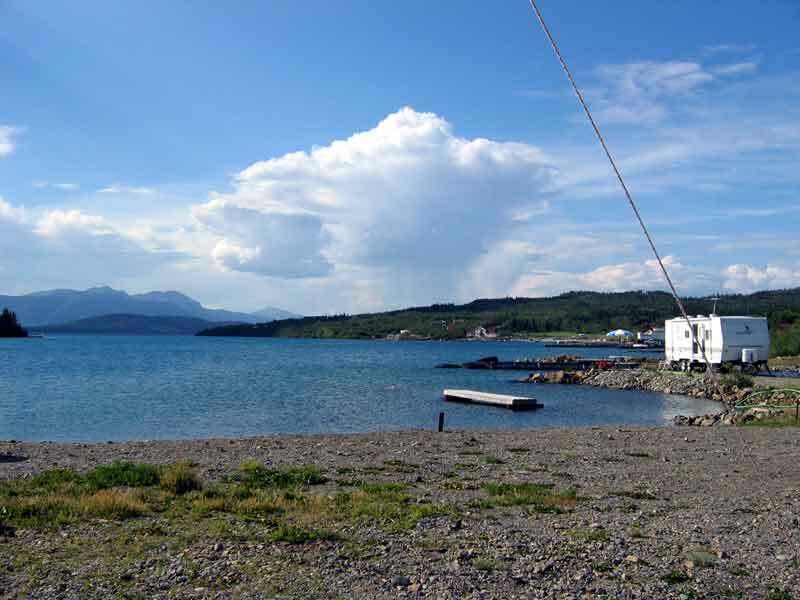 The picture to the left is the view of Atlin mountain from our campsite on the shore of the lake. This is the largest natural fresh water lake in British Columbia. The area is beautiful and very relaxing to be in. 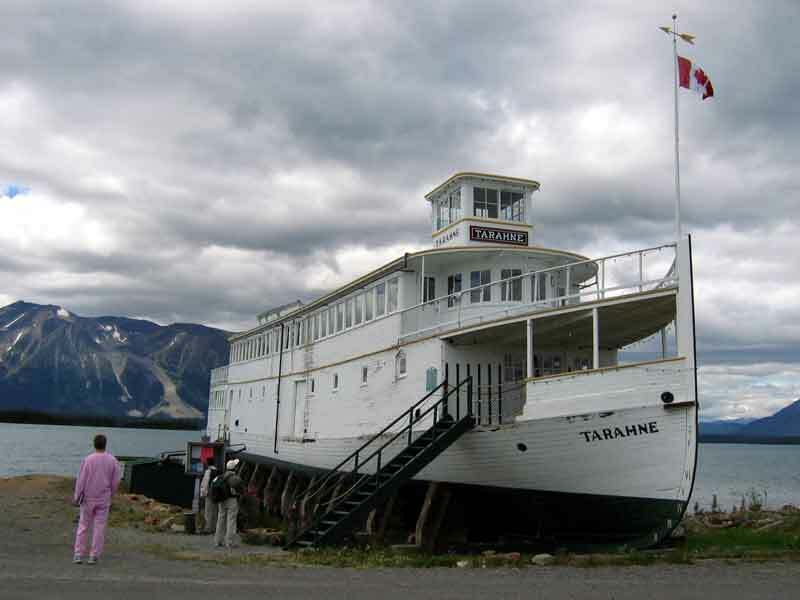 MV Tarahne, launched June 1917 for tours on Atlin Lake and beached 1936 when tours were discontinued.